Ludhiana: In response to an application moved by Bhai Jagtar Singh Hawara’s lawyer Advocate Jaspal Singh Manjhpur, the Samrala court on Tuesday (Feb. 21) clarified that Bhai Jagtar Singh Hawara was not wanted in any case in Samrala. 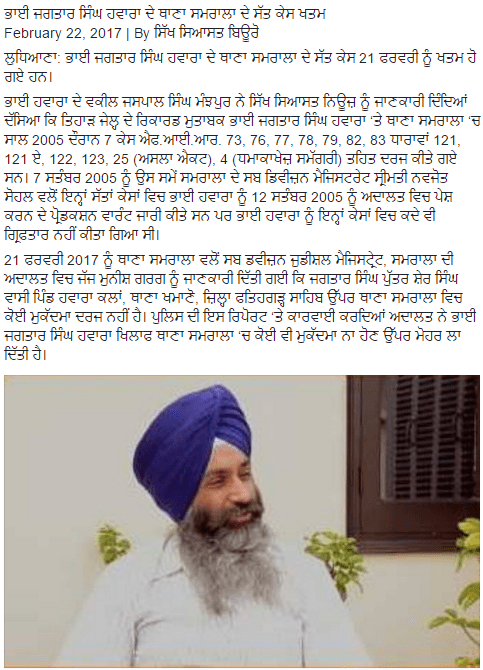 The Court took notice of reply filed by Samrala SHO that Bhai Jagtar Singh was not required/wanted by the police in 7 FIRs registered in 2005 against him. Bhai Jagtar Singh Hawara’s counsel Advo. 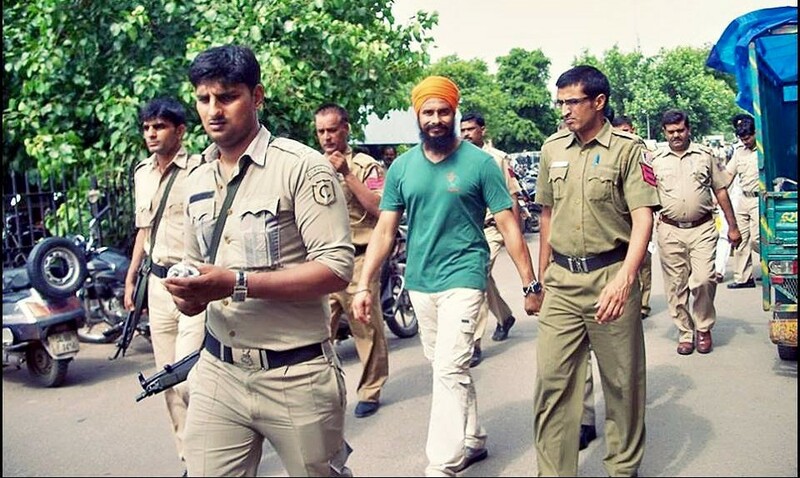 Jaspal Singh Manjhpur told Sikh Siyasat News (SSN) that the Tihar Jail authorities recently informed Bhai Jagtar Singh about various cases ‘pending’ against him in papers. “We were not aware of these cases as Bhai Jagtar Singh Hawara was never presented before any court in relation to any of these cases. Of these newly discovered cases, 7 are said to be pending in Samrala” said Advo. JS Manjhpur. As per information Bhai Jagtar Singh Hawara’s lawyer moved an application before the court of Sub Divisional Magistrate of Samrala to know the status of FIR Nos: 73/2005; 76/2005; 77/2005; 78/2005; 79/2005; 82/2005 and 83/2005 (all FIRs) registered under section 121 (Waging War Against the State), 121-A (Conspiracy to Wage War against the State), 122 (Making Preparation to Wage War Against the State), 123 (Concealing with intent to facilitate design to wage war) of IPC besides Arms Act and Explosives Act. Talking to the Sikh Siyasat News (SSN) Advo. Jaspal Singh Manjhpur said: “on our application the court had sought status report from SHO, Samrala”. “The record showed that Samrala Sub Division Magistrate Navjot Sohal had issued production warrants of Bhai Jagtar Singh Hawara on 12 Sept., 2005 but he was never produced before the court, nor he was informed about these cases” Advo. Manjhpur said.